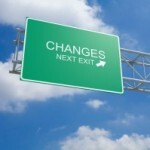 Meaningful Use Stage 3: Is It Final or Not? On October 6 of this year, CMS released a ruling that revised Stage 2 and also included the new requirements for Stage 3. However, in a rare move, they added a 60-day comment period to the Stage 3 portion of the “final” rule—which means it’s not really final. This suggests that what we know so far about Stage 3 could all change. If you are a type-A person, this news may send you into anaphylactic shock, but there are many reasons to believe that Stage 3 isn’t quite ready for primetime in its current state. After CMS published the Stage 3 proposed ruling, the Medicare Access and CHIP Reauthorization Act of 2015 (MACRA) was enacted. The MACRA program was designed to dissolve the stand-alone MU program after 2018 and instead roll-up MU, PQRS, and the Physician Value-based Payment Modifier into a new larger reporting system called the Merit-Based Incentive Payment System (MIPS). The MIPS program (enough with these acronyms already) will take into consideration 4 different factors that are weighted differently (one being the provider’s EHR usage). As you can see from the graph above, even though MU will ride into the sunset in 2018, it will still make up 25% of your MIPS score—so it really doesn’t go away. This becomes a big problem considering MU is a pass-fail program. You can be 99.9% successful in meeting the MU Stage 3 objectives, but you’re still 100% failing. There are no partial credits in this test. As a result, that means 1/4 of your MIPS score is a big fat zero! In response to the October 6 ruling on Stage 3, more than 110 medical societies (including the American Medical Association) have sent letters to Congress urging them to intervene before physicians abandon the program completely. Physician time is being diverted from patient care to data entry. Patient records are being filled with unnecessary documentation that is unrelated to providing high-quality care. The program has created new barriers to exchanging data and other information across care settings. Although more than 80% of providers have an EHR in their practice, only 12% have been able to successfully participate in Stage 2 of meaningful use. In the world of nephrology, participation in the MU program dropped around 60% from 2013 to 2014. This either means nephrologists are taking the hardship exception or are willing to take the penalty. CMS tried to remedy poor participation by releasing modifications to stage 2, however it is way too early to see if these changes will actually help. Finalizing the objectives for Stage 3 without taking into consideration the performance of Stage 2 is like sending your child to first grade before she finished her first week of kindergarten. I wouldn’t chalk up the meaningful use program as a total failure. It brought a majority of providers into the health IT space and created a necessary foundation for a basic EHR. Providers using a “MU-certified” EHR can all enter a problem list, medication list, allergy list, e-prescribe, and more. The Stage 1 objectives proved to be achievable. Providers in Stage 2 struggled to find a way to send meaningful data to one another. As a result, they tried to find a way to simply “check the box” and move on. If the infrastructure to complete certain Stage 2 objectives doesn’t yet exist, how can providers expect to succeed in Stage 3 where the objectives only become more difficult? The comment period for the “final” Stage 3 ruling will close on December 15. It is unclear when the final-final ruling will be released, but I hope CMS will not only consider the impact of MU3 and its role in the MIPS program, but will also allow the adoption of technology to happen organically. As we move from a fee-for-service payment system to being paid based on achieving an outcome, technology adoption and innovation will need to occur. I hope that instead of spending the next few years developing untested technology and training cumbersome MU work flows we let the industry create solutions to succeed during the new era of quality reporting and alternative payment models. Diana Strubler, Senior Product Analyst, Health IT Standards, joined Acumen in 2010 as an EHR trainer then quickly moved into the role of certification and health IT standards subject matter expert. She has successfully led Acumen through three certifications while also guiding our company and customers through the world of Meaningful Use, ICD-10 and PQRS. Meaningful Use Hardship Exception: A Late Christmas Gift?